Add an unconventional surprise to your daily workwear routine and introduce this savvy and jazzy skinny tie in hot hues of green and black to your wardrobe. The shimmery necktie is a signature design from the infamous Puccini Fashion House. 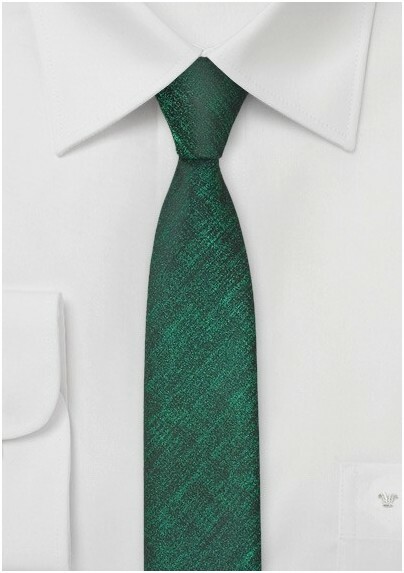 We love to see this tie worn with a slim cut black dress shirt and a streamlined black suit. 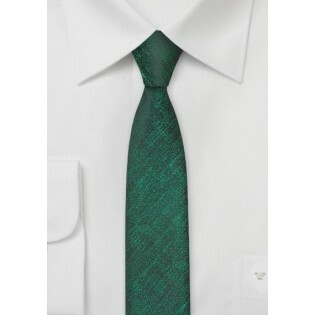 This tie is handsomely crafted from a high quality, man-made microfiber that doesn't stain or wrinkle.